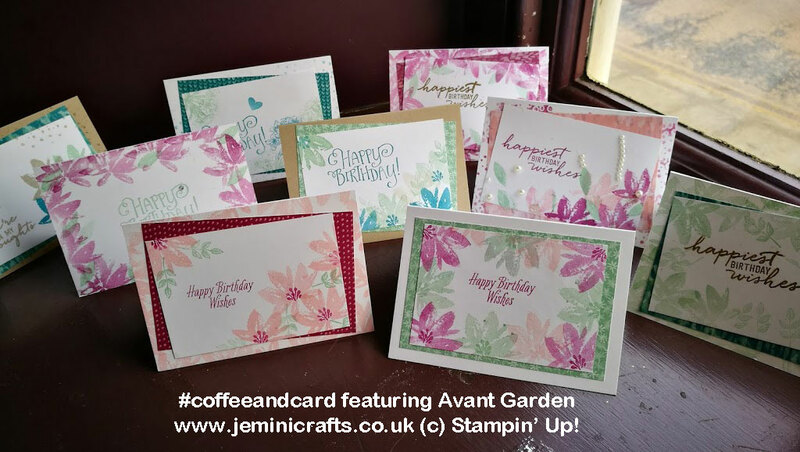 I love that my #coffeeandcard events are going from strength to strength, it's a great atmosphere and a chance for everyone to meet others, craft and enjoy the company of like-minded people! 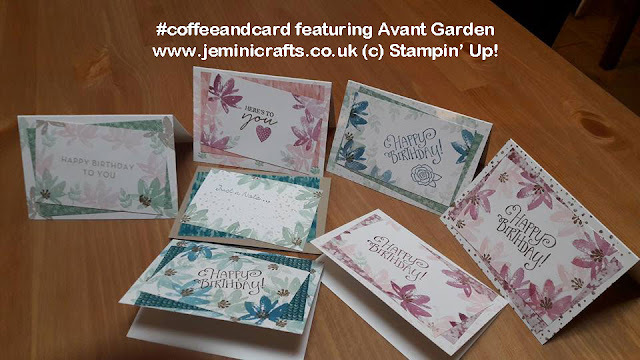 Last week we used the FREE stamp set Avant Garden, and I was amazed at all the different variations we came up with. I chose a limited colour palette - that of the Designer Series Paper 'Blooms and Wishes', so everyone worked within that, using either Whisper White or Crumb Cake as the card base. 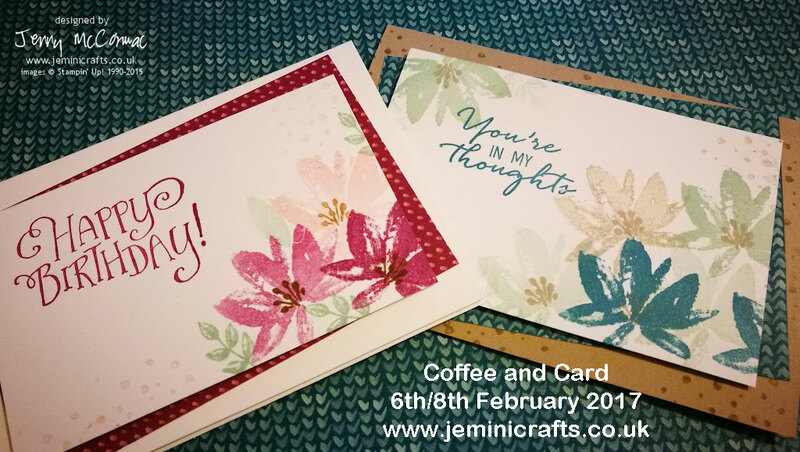 This is the stamp set - one of those you can get for FREE until 31st March 2017. 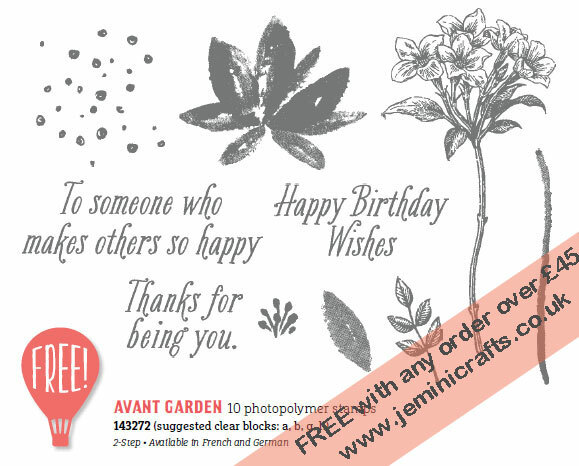 Just place an order for any products to a total of £45 or more, and you can choose this as your free item. There are plenty more to choose from if flowers aren't your thing! 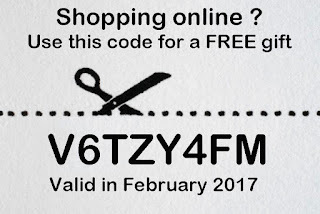 Click on the voucher below to order online - and remember to use my Hostess Code: V6TZY4FM for a free gift at the end of the month. Great group of cards! Love how they are all slightly different!